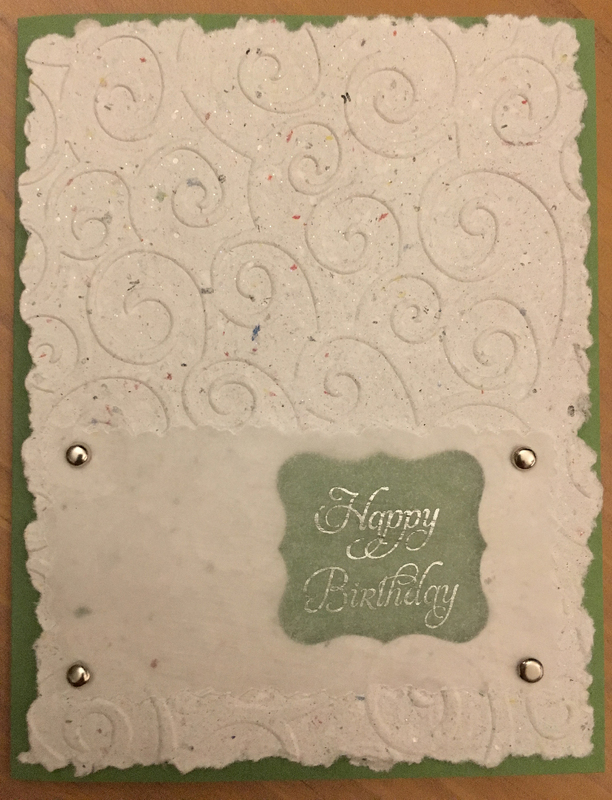 A few months ago, I made some paper and wanted to use it in some cards. 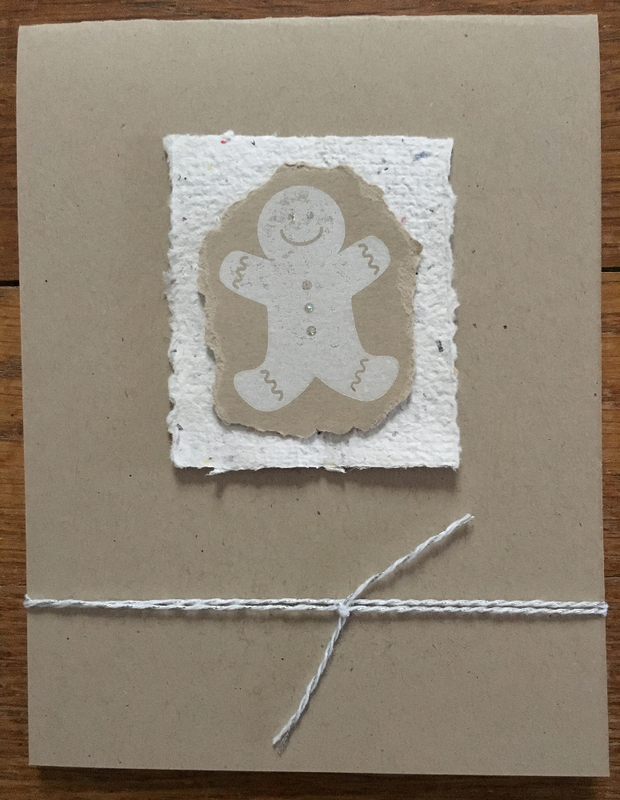 For Christmas, I had grand plans for a cool card that had a little gingerbread man stamped directly on the handmade paper. However, I completely forgot that the paper was still textured and the image barely showed up. It didn’t occur to me to iron the paper or flatten it using my Cuttlebug, so I went with plan B and just used the paper as a background panel. It turned out cute and simple, so I was fine with it.